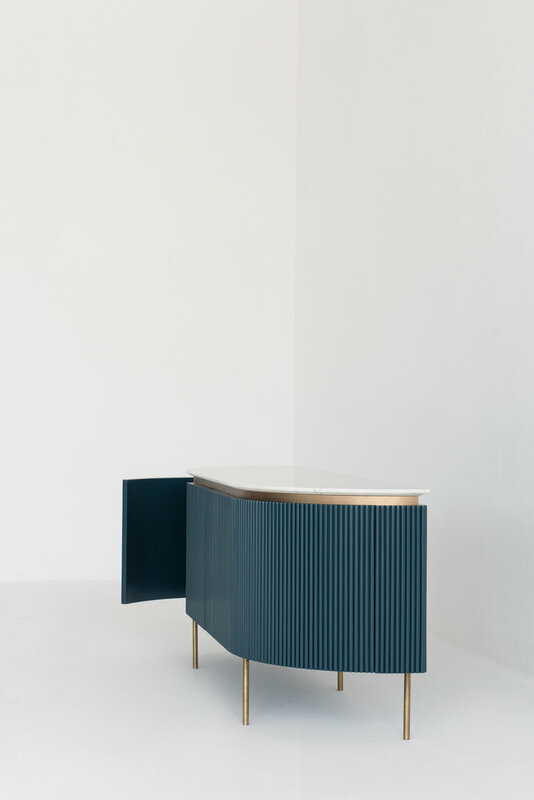 The Kaiser sideboard is made of handcarved solid wood slats that are applied piece by piece. 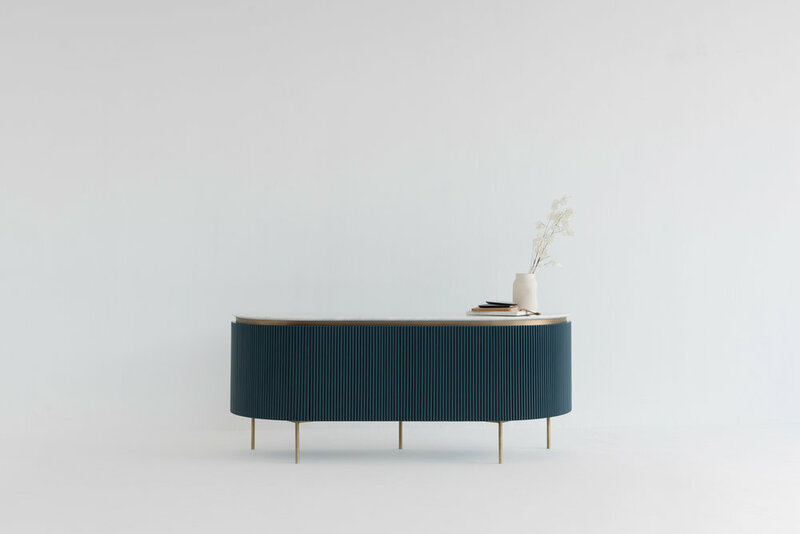 With thin steel pinlegs and a steel trim, the Kaiser sideboard is available with a marble top as well as other wood options. It has fully concealed doors, including curved doors on the sides and a pushout mechanism.